When was the last time you were looking for a job? As in actively applying, networking, interviewing, getting dressed up, writing thank you emails, etc. Hopefully, it’s been a while. Looking for a job is hard work. As we all know things happen and even what would be considered a secure position can get eliminated or downsized in the blink of an eye. I’ve talked to enough folks that have gone through this to know it’s not a fun position to be in. This is where we as recruiters have the power to be a candidate advocate. I know, I know, filling jobs is our job. Whether you’re an agency recruiter or a corporate recruiter, this is what we signed up for. And I love it. I put this in my bio, and I mean it 100%, nothing makes me happier than making a love connection between a candidate that I think is a great fit and a position at my company. I honestly still get a big smile on my face when someone accepts an offer. We are all busy and many times have many positions to juggle. Sometimes too many. And if our interview process has more than a few steps we have to manage those. Many times we wear many hats in a single day. Everything from a sourcing specialist to an interviewer to a scheduler to an assessment interpreter to a host for candidates and our company. Which lead to process. Some of the positions I recruit for have relatively short processes. The steps consist of sourcing folks, phone screening them, having them take an assessment, and scheduling a live interview. Several of my hiring managers decide after that first meeting, and it’s good to go. This, however, is not the norm for other, more senior level positions I recruit for. The more senior level positions typically consist of me having several one on one meetings with the candidates before I even decide if they might be able to meet senior leadership. From there I sprinkle in three to four assessments. Around the time they are sighing and conceding to do the third assessment, I’ll set up the first meeting with someone from senior leadership. If that goes well the interviews and meetings increase, sometimes going to as many as eight meetings before an offer is extended. The last senior level position I was working on took six months from the first contact to the final meeting. Now that’s a long process. Most companies have an interview process somewhere between the short and the long one I described above. At least two weeks but hopefully not six months. From a candidates perspective, the process almost always seems to take too long. Being a candidate advocate means you are shepherding the candidate along in this process. You are providing them feedback when needed and communicating with them on a regular basis. You are of course working to help your company fill critical positions but you are also wanting to ensure that the person that gets the offer is excited and pumped for the opportunity as well. Win win. Quite honestly it bums me out that some of my fellow recruiters are poor at communication. I mean, come on, that’s what we do! Sure, we can be great communicators when we are sourcing and working to get great candidates for our hiring managers. The main problem is we tend to fade into the background or go silent once we receive feedback from a hiring manager that isn’t favorable for the candidate. We owe it to candidates to pick up the phone and let them know this one isn’t going to work out. Outside of telling someone, they aren’t a fit it’s also important to keep them informed along the way. I do my best to keep them in the loop on how the position is progressing. When I have a lot going on I encourage candidates to call or email me for status updates. I also prepare them for upcoming interviews and ask them to call or email me afterwards for their feedback as well. I’m looking for a win-win, not just a one side wins type scenario. Creating long term relationships with candidates – In too many to count instances I have had a candidate not work out for one position that I stayed in touch with that worked out for another role. This happened because I helped create a positive experience for the candidate, even if they didn’t get the first job they interviewed for. 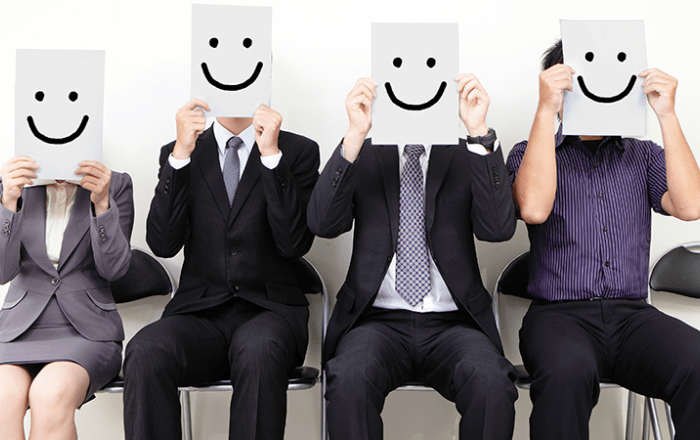 Creating positive vibes for your company – Being the candidate advocate helps create positive feelings for your company. Candidates will remember how they were treated during the interview process at your company, for better or for worse. Ensuring right fit – You might think I’m crazy but I have talked a candidate out of a job at my company before. Why is that? Because I didn’t think that particular role was the right one for the candidate. I was only able to come to that conclusion by knowing my company well and getting to know the candidate well. I then acted in the best interest of both sides. Again, win-win.